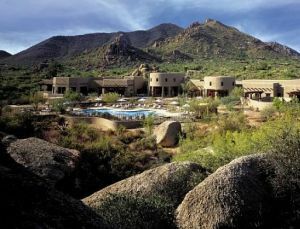 breathtaking panoramas – including stunning boulder formations, striking Sonoran Desert sunsets and natural desert terrain. In short your experience should be a scenic wonder. 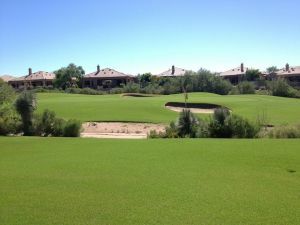 From the middle tees, the course is fairly friendly, however the tips can present quite a challenge. An added tip – keep your eyes open because desert wildlife is often visible during play. Every day golfers are surprised to see a bobcat while hunting for a wayward shot. A “coyote rule” allows you to replay a shot without penalty in case a coyote sprints out and steals your Titleist. 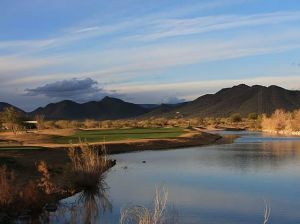 The South course provides its players with much of the same experience they would find on the North course. 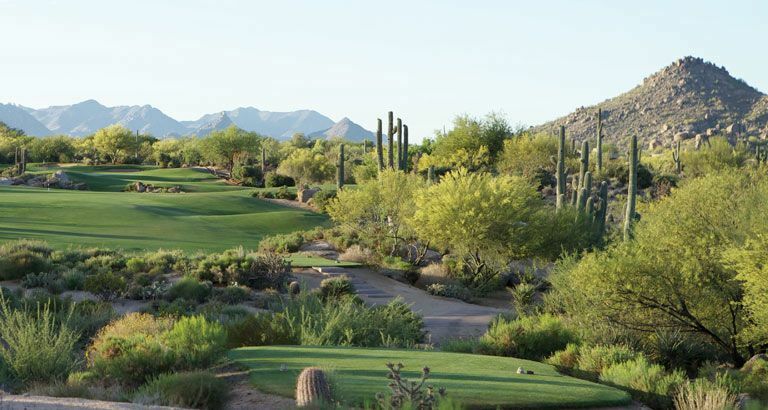 The scenic views and desert beauty will continue – with even more locations for the perfect KODAK moment. 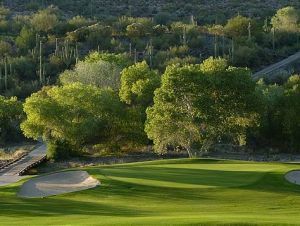 While the North course is the original offering from the resort, many people believe that the South course is the most scenic. In fact it has holes that go right up into the boulder formations. The first hole sets the tone for your day with 447-yard par-4. 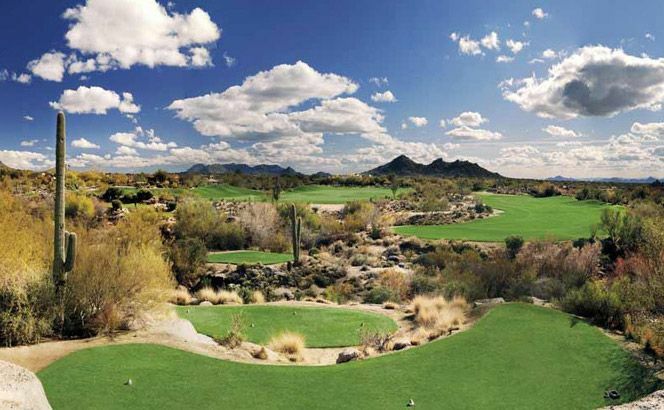 It requires a target drive that stops short of two stacks of boulders that narrow the fairway at 110 yards out. The green rests just short of a massive boulder pile. 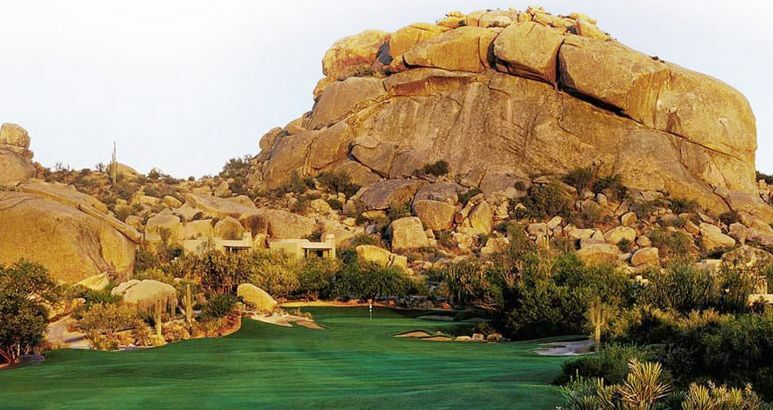 A little later in your round you will encounter the signature Boulder Pile and also Rosies Rock, two of the resort’s most recognizable rock formations. 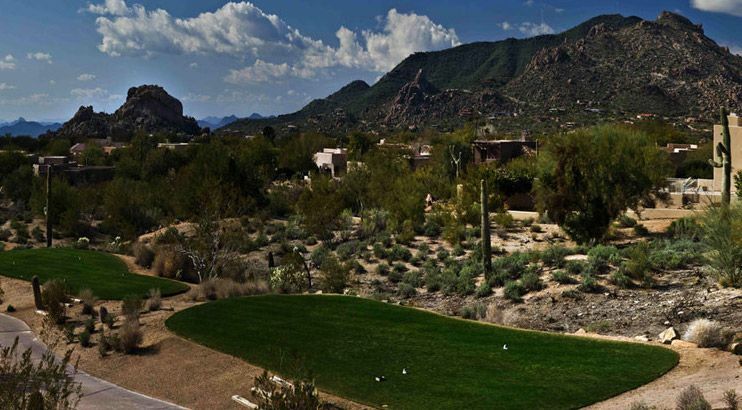 From Sky Harbor Airport, travel west to enter State Route #51 Squaw Peak Parkway. Travel north on SR 51 Squaw Peak Parkway approximately 15 miles to Bell Rd. Exit onto Bell Rd. turning right and travel east approximately 5 miles to Scottsdale Road. Turn left onto Scottsdale Road traveling north approximately 11 miles. Continue just past the intersection of the Carefree Highway and Scottsdale Road. The entrance to The Boulders is 500 feet north of the Carefree Highway on the right side of the road. From Sky Harbor Airport, follow the airport signs to the 202 East Exit. Take the 202 East to the 101 North. Continue on the 101 North for approximately 19 miles to the Scottsdale Road exit. At Scottsdale Rd. turn right and continue north for approximately 10.5 miles to Carefree Highway. Continue just past the intersection of the Carefree Highway and Scottsdale Road. The entrance to The Boulders is 500 feet north of the Carefree Highway on the right hand side. 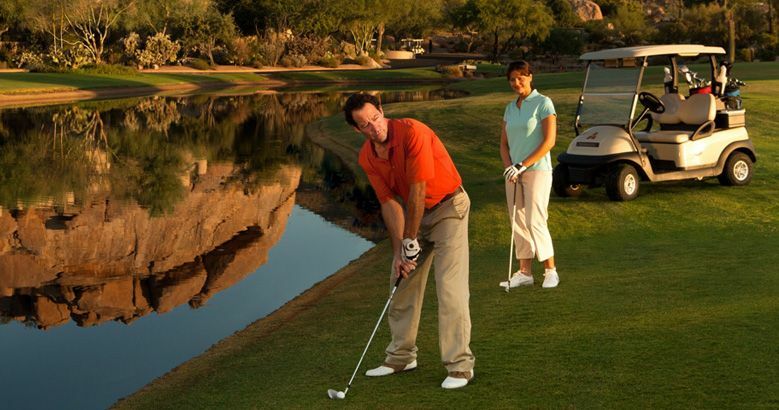 Boulders North and South is not yet in our pool of Golf Courses for orders.